Eros is a flex – use multipurpose pavilion for the senses. A series of chambers; variably open or closed to nature and surroundings, bright or dimmed due to the ambience, and wet or dry with the uses. Simple geometric forms elegantly arranged to create complex relationships for the solitary or social occupant. Four vestibules invite entry from every side. Pivoting walls reveal on their inside face a bench, a shelf, a pair of pegs. In the center, beneath a dome, visible to the sky: bed or spa as the user chooses. 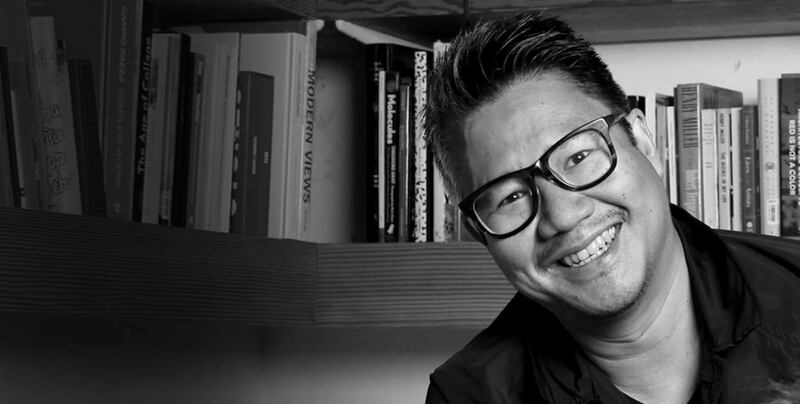 Kulapat Yantrasast designer of the first new art museum building in the world to receive theLEED Gold certification (Grand Rapids Art Museum) who was named one of the 100 Most Powerful People in the Art World by Art+Auction magazine in their 2012 Power 100 issue.